Hey everyone, I joined you all on the PSB newbie ride today with my friend Chris (kiraskillz) who is also the one who introduced me to the PSB forum. Was great to meet you all today, fantastic ride and a great experience. Can't wait to do it again! I've been trying to get into bikes since I was 18 and finally got my learners in November; Previous to that I had a rubbish little 49cc TaoTao scooter. I take my test in May, hopefully I'll walk away with my P's and be free to join you all on many rides. 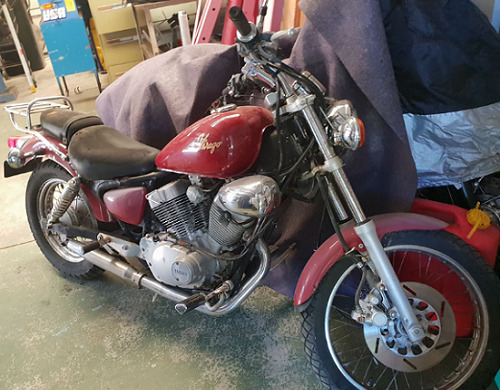 I currently ride a Suzuki Intruder 250, but Chris and I are fixing up an old 89 Virago 250 to hopefully get back on the road before tax time. 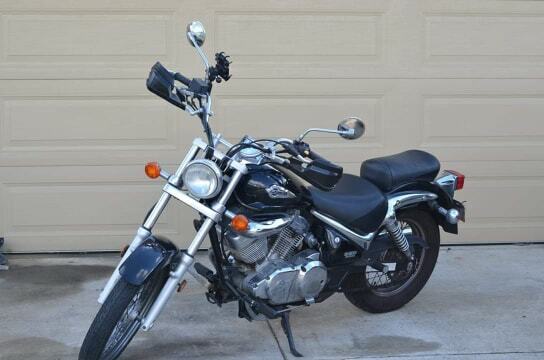 I hope to eventually own a Honda Shadow 600, but I'll settle for what I have at the moment. I'm 25, from the USA (Florida) but a permanent resident of Australia since October 2018. I do not talk politics, so please don't bring up the angry talking cheeto. I live out Midland way but I travel all over the metro area frequently due to work. I work in the disability support industry for Anglicare and One2One since Mid - Late 2015. It's a pleasant job and I enjoy the work. I also have a living breathing horse, not just a metal one He's much moodier than the metal one, though. Great to meet you all, looking forward to getting to know the community better! Welcome to the riding world, and PSB.